I have started working on a rotation again. This is the first piece in my rotation and also my oldest WIP. It is O Jerusalem and is a kit from Bucilla that is a cross stitch adaptation of a painting by Greg Olsen. Since I started stitching on it I have been working out from the bottom left corner. It is turning into a bit of a slog to work on because I am stitching the background and there isn’t much exciting going on. 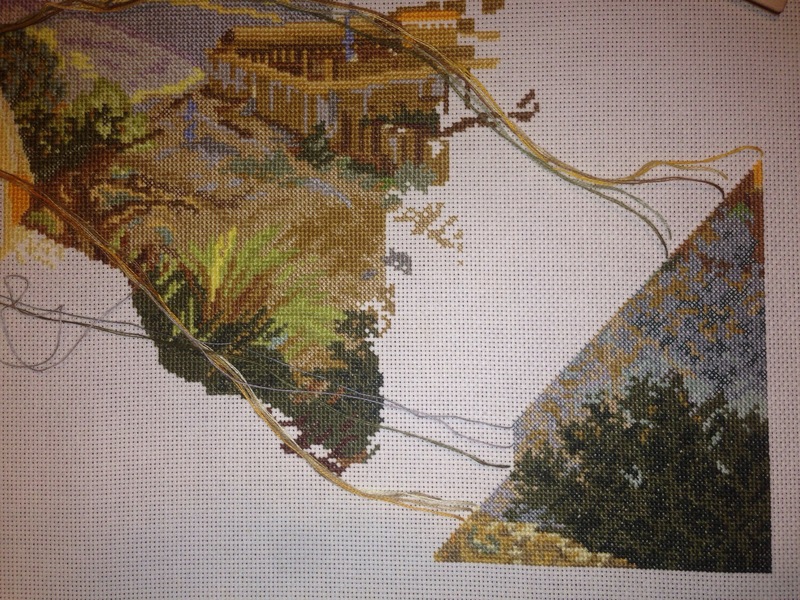 I have two more days of stitching and then I will move on to the next piece in the rotation.